I never thought I'd make myself another but last year's scoodie turned out to be too big for me (I gave it to a friend with dreadlocks and it fits her perfect) and I just wasn't keen on the scarf part either. But I like the hood, so last night I avoided a bit of work I desperately needed to do and zinged up a little hood with just a neck closure to keep me noggin warm. Good thing too because today has turned out to be a ratty day and it's six blocks round trip to my monkey's preschool. comments, questions welcome of course. 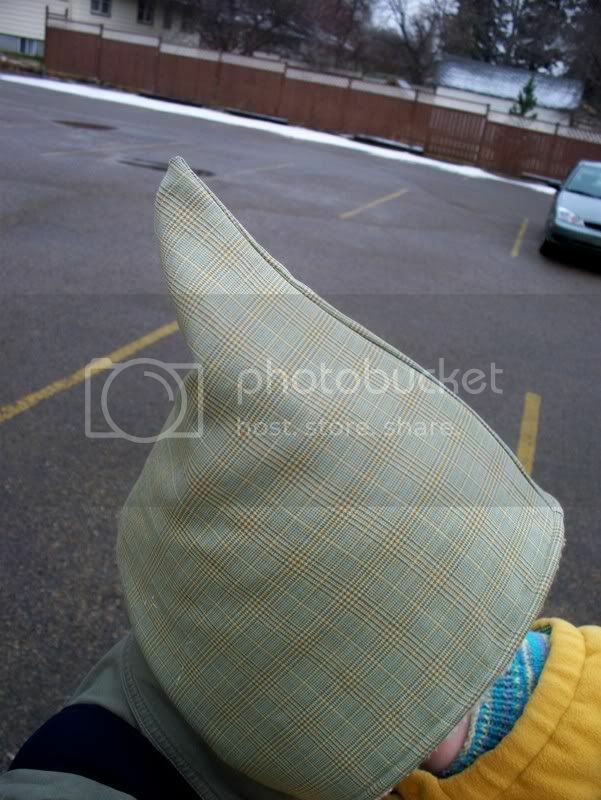 Tutorial here for the classic scoodie (she says knowing how silly that sounds) if anyone wants. ooh, good idea. sometimes i'm not in the mood for a scarf but still want the hood. 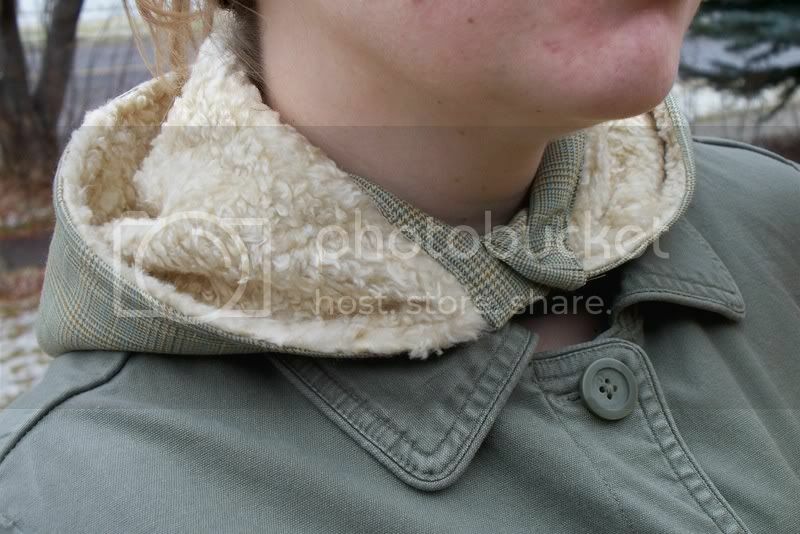 now technically, since there's no scarf, this would be more of a colloodie or neckoodie wouldn't it? ps. the first photo looks JUST like your monkey. hmmm. good thinking. I think I will go with noodie (neck + hoodie). 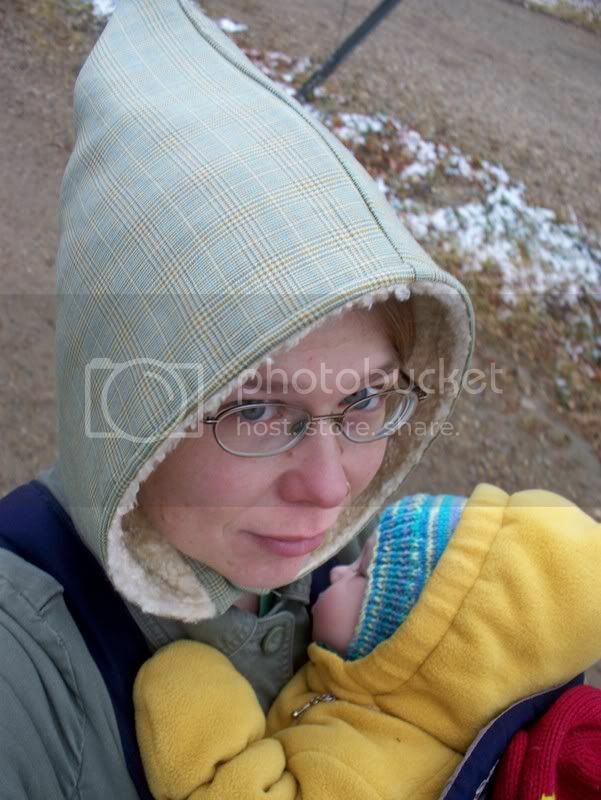 Since we are on the topic, my next project is to make a hood with a one piece bit of knit to go over my daughter's shoulders tucked under her shirt. 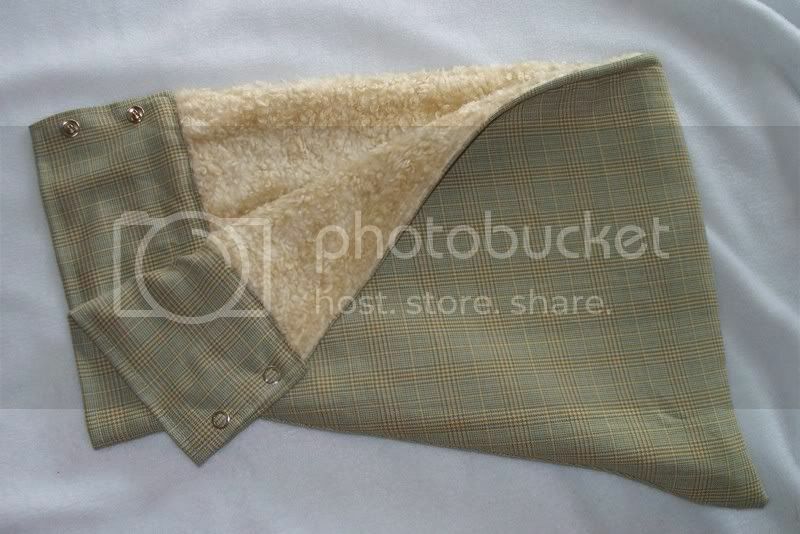 Some of you may remember this as a dickie. Hood + dickie = hickie. faux sheep fleece. my fav. I think it's cute. Love the fabric. Not sure about the point for myself. Thats great! I did that for the hood of my daughters boots costume, I need one now aww and look at your lil man, soo cute! Lovely! I'm anit-scarf most of the time, so I'm all about this... noodie. And especially the hickie. I'm thinking of starting a dickie revolution and this would be a welcome addition to my arsenal. I think this thing is fantastic! And I think there is nothing wring with calling the original a scoodie classic. I must say I think the infant pants from shirt sleeves is totally inspired and I will be trying it out! Now I just need to hit the thrift stores looking for good shirts to make into pants! My daughter is crawling and you just can't have too many pair. OH! AND I LOVE THE POINT!!! all this talk of noodies, dickies, and hickies makes me giggle.